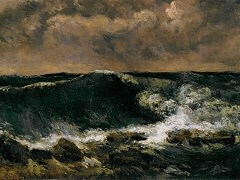 Courbet became tired of the pretentiousness of the official art and was determined to render the world as he saw it. 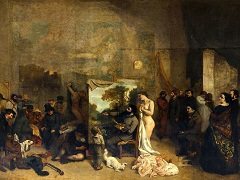 Courbet strived to be independent from the public's taste and constantly challenged convention by his emphatically realistic renderings of scenes from the daily life. 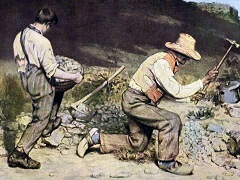 No graceful poses or impressive colors - Courbet was not depicting beauty, he was depicting truth. This uncompromising artistic sincerity made him stand out from all other artists working at that time in Paris and often forced him to exhibit his work independently from the Salon. 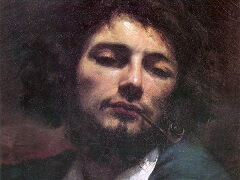 Before he developed his unique realistic painting style and before he produced his groundbreaking masterpieces, including The Origin of the World and The Stone Breakers, Courbet made a number of Romantic self-portraits including this one. 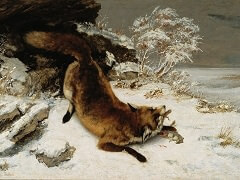 Deeply emotional, The Desperate Man is among the earliest works by the artist that he completed in 1845. 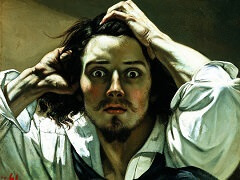 With his eyes wide-open, Courbet is staring straight at you and tearing his hair. Popular at the time, the Romantic approach to portraiture was concerned with expressing emotional and psychological states of the individual. 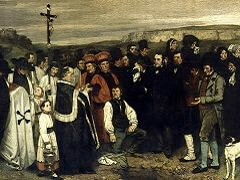 And although Courbet never considered himself a Romantic painter, he coped with the task extremely well. 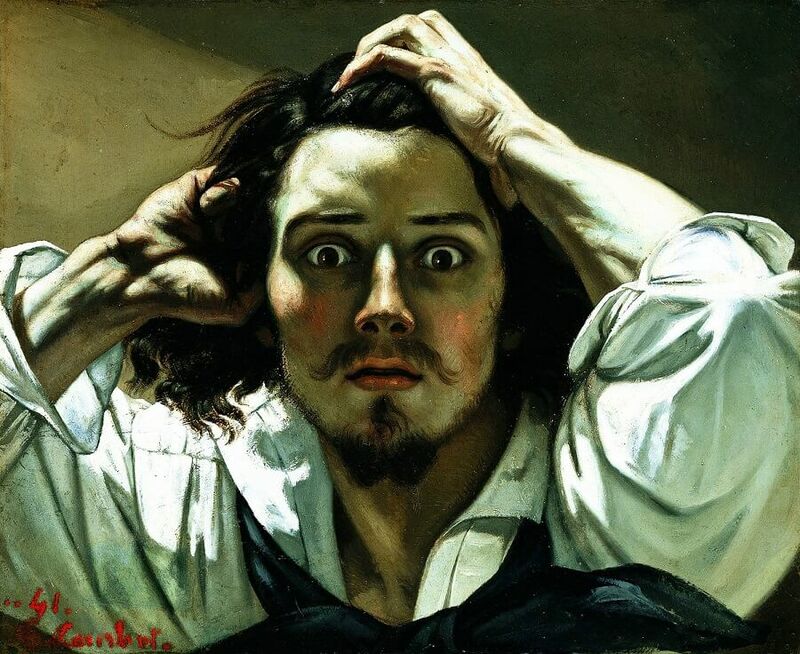 When viewers look at this self-portrait you do not only experience his desperation (as the title suggests) but you also get the idea of what kind of personality Gustave Courbet was himself. Bold, wily, radical, ambitious and determined. Determined to challenge established painting genres, protest against traditional clichés, and change the course of art history.